I haven’t read a book in awhile. I’m really sad to admit the last books I read was the Fifty Shades trilogy. Honestly gotta say – i don’t know why I read them. Also don’t know why I couldn’t put them down. The series hurt my brain a bit – the writing repeated itself. could have been better. thought several times that if a drinking game was made about Fifty Shades you’d die from alcohol poisoning. bite her lip – drink, she does something stupid – drink, etc. It is no literary masterpiece and the female character has no self-respect but I read them nonetheless. That was a few months ago. They didn’t have anything to do with me not reading anymore. Sad to say it was a mixture of getting my iphone, the unfortunate bit of wearing my CPAP mask (love to read right before bed) and my increasing addiction to Simpsons Tapped Out. My ereader sits neglected in the box on my dresser. I have even taking a few trips to the bookstore (purchased 5) and have gone to the library (borrowed none). I guess I’m just not in a book mood right now. Even though I haven’t read a book I still read daily. Miss Minimalist – still a huge fan of hers. She’s been on a writing sabatical so not much in the way of content from her but she continues to post Real Life Minimalists. I’m not a minimalist but someday I’d love to be able to write my own to submit. Living Lagom – LOVE this blog. It’s refreshing and real. I love how she shares her weakness for starbucks and her personal goal to eliminate disposable cups. She has helped me see how bad I am with disposables. I realized I was using at least 2 disposable cups each work shift – 1 for coffee, 1 for water. I have to cut back because it’s silly especially when I have reusable cups that I love. Minimalism is Simple – I starting reading this blog after Aly was featured on Miss Minimalist. She is going through this process with her mother. I love that. I wish that I had a friend or family member that I could do this with because sometimes it feels so lonely to be purging things when everyone around you is purchasing stuff. Zero Waste Home – I wish I was this passionate about anything. Such an inspiration – am completely addicted to this blog. I want to start composting eventually – I’m also starting to become more aware of how much garbage my family generates. It’s eye opening. I like how she prioritizes – Refuse, Reduce, Reuse, Recycle, Rot. and she stresses that this is the order. I have always hated recycling but never could figure out why. I think it has to do with “green” people who preach recycling while they are drinking water out of plastic bottles (to be recycled). Recycling takes alot of energy. It’s better just to refuse and reduce first. One Good Thing by Jillee – she is incredible. love the recipes – my favorite homemade laundry soap was found on this blog. How Does She – I get the newsletter. I consistently read the newsletter too. Typically email newsletters get deleted without me ever opening them up. These are so good that I save them. Crafts, home ideas, fun things to do with your kids – it’s all here. I’ve also been going back to reading the FlyLady emails. I feel like it’s time to give her program a try again. I need routines and structure. I’m missing both right now and I want to get better. I still have the hoarding mindset but my house doesn’t show it right now. I need change or else I’ll never learn how to save money, live with less and be content. I’ve been buying less “junk” to bring into my home. I’m truly questioning items now before I buy them. My husband is also helping by asking if i would want to get rid of it soon after bringing it home. Most of the time the answer is yes so I don’t buy. Other things are not as easy. I have bought some books but they are sitting on my bookshelf unread. 1. 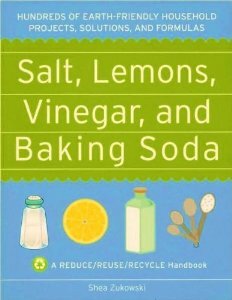 Salt, Lemons, Vinegar, and Baking Soda. It’s right up my alley lately. My strong push to go more natural and to simplify the cleaners in our home means that these 4 items are even more important then ever before. The book called to me at Barnes and Nobles when I was shopping for a birthday gift so I bought it. I looked at it once and then put it on the shelf. 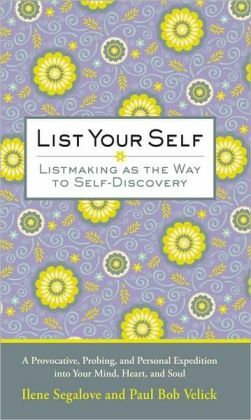 I also bought List Your Self – Listmaking as the Way to Self-Discovery by Ilene Segalove and Paul Bob Velick. It’s this really great book full of lists that you fill out. I looked at this and passed over it. Once home I got it into my head that I couldn’t live without this book. I thought of all these great reasons that I had to own it – tons of writing ideas, a great way to get to know myself, I’ll be writing more, etc. I went back to the store to buy it. It sits on my shelf next the the vinegar book. Here are some of the great lists though: List the situations that always make you cry, List your typical daydreams, List what kinds of people should never drive cars, List all the details you can remember about your childhood bedroom. 285 pages worth of lists. 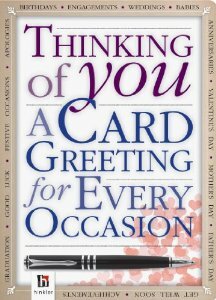 Oddly enough I also bought Thinking of You A card Greeting for Every Occasion because I send out SO many cards to people. I have given away more cards in my decluttering than I’ve ever given or sent. I have this unhealthy obsession with buying greeting cards. I buy tons of them with all the best intentions to send them to friends and family to make them feel special. I’ve even bought stamps. I just never get around to sending them. Amazingly – I mailed out three Valentine’s cards just because getting mail feels so good. My daughter and I mailed one to my sister, one to my brother in the Army, and one to my nephew. There are two more books purchased recently but I’ll write about those another time. I feel good and bad about buying these 5 books. I’ve been working so hard at downsizing and getting rid of stuff. I want to break my strong need to acquire. I want to be happy with less. but I also want more. books are hard for me. I love books. I’ve been telling my husband the less stuff we have, the less time it takes to clean and care for the stuff. This means more family and fun time. More time to try new things, play games and read, write or whatever. Single serving pie in a jar – yum! I want to make these sooo bad. I need to buy some Mason Jars! I think this would be a great activity to do up at my mom’s house when we all get together. Mini Rainbow Cakes – yes please! again – the mini mason jars. this would be so fun to make with a group! maybe i’ll have to throw a kid’s party for my daughter just to have an excuse to make these! 30 Green Smoothies – food must be on the brain. i need to start making smoothies again. Brush King – there are some really great grunge photoshop brushes. I wish I was more skilled with photoshop. People can make magic happen with this program. I love the grunge brushes but never can seem to make them work on my projects. I used to spend so much time putting designs on my cafepress store. I was consumed by my shop. It never really did amazing with sales but I was totally addicted. I think I burned out and became discouraged because people were doing well and it seemed like no matter how hard I tried I just never really could make much out of it. Now my designs just kind out hang out, I don’t do much but I make sales here and there and usually get an extra $50 per month. not much but hey – my stuff is selling. Sometimes it makes me want to design more but then I tell myself I just don’t really have the eye for it. World thinking Day – my troop did table on Jordan. We had pony bead swaps with black, white, green and red beads for the flag. We offered fig newtons and pita chips. At our troop meeting I had the girls try hummus and pita bread. They were not impressed but they loved the baked pita chips. I had wanted them to try figs but worried they would not appreciate the taste. At the thinking day event my girls got to walk around to the different tables to learn something new about several different countries. I would have loved to teach my girls more about Jordan because the information felt superficial but at least they are engaged and interested. I’ve started buying the 10cent plastic Aldi bag when I go grocery shopping there. I have tons of the reusable bags (i probably should purge some) but I really like the plastic ones. They are extra big, sturdy and a lovely shade of blue. I’ve been using these as my declutter bags. We have finally purged down to enough that instead of finding a dozen plus things in each section I’m now finding 1 or 2 things. We had so much stuff before that we were using large boxes and 33 gallon garbage bags for our donations. The large garbage bags that we were using take too long to fill now that we have less to get rid of. I honestly don’t want the bag to be hanging out for too long – I have a tendency to take things out of the bag to return to the house if it sits for too long. Another nice thing about the Aldi bag is that we can’t see through it. I can put items in there and my daughter can’t see what’s in there and take it out. She wouldn’t get rid of anything if she had the choice whether it was hers or not. She doesn’t want my husband or I to get rid of stuff either. she tells us she’ll take it if we want to get rid of it. I saw this somewhere a few months ago and it has resonated with me. 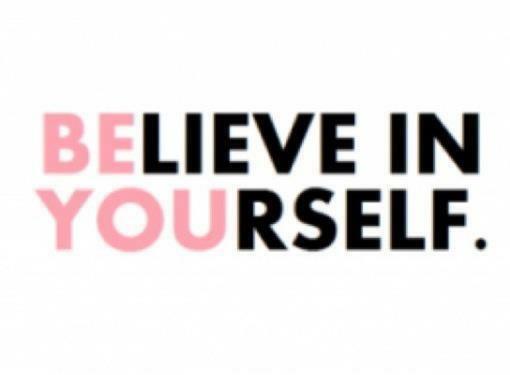 Be you and believe in yourself. What a fun combination – ADHD and OCD – sometimes it’s embarrassing to be me. i’m not ashamed anymore of my quirks and gliches. I’ve recently realized this and it was such a pleasant realization. I’m not who i wish i was but i am exactly who i ought to be.